We’re stiiiiill in our rental- two more months to go before our house is finished! 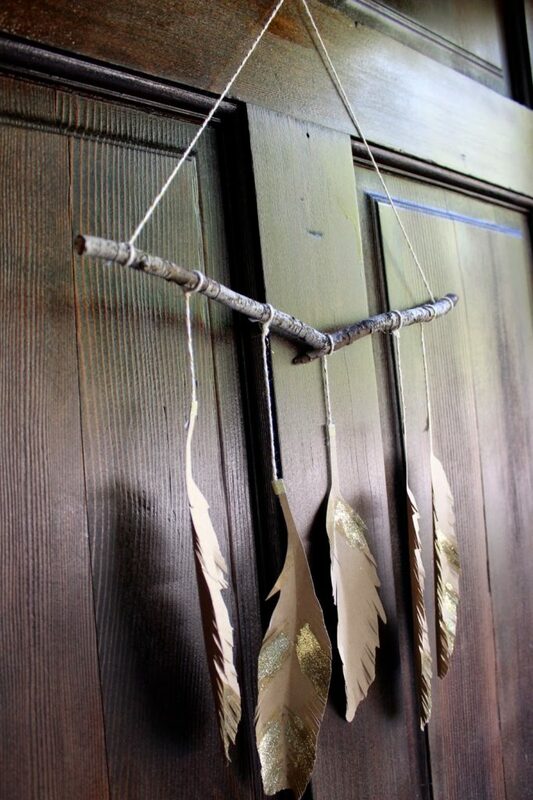 !- but that doesn’t mean we shouldn’t make it feel homey and festive for fall! Or at least that’s what Jenni keeps telling me. This was a super easy and quick craft project that I did during nap time. You can do it too… promise! 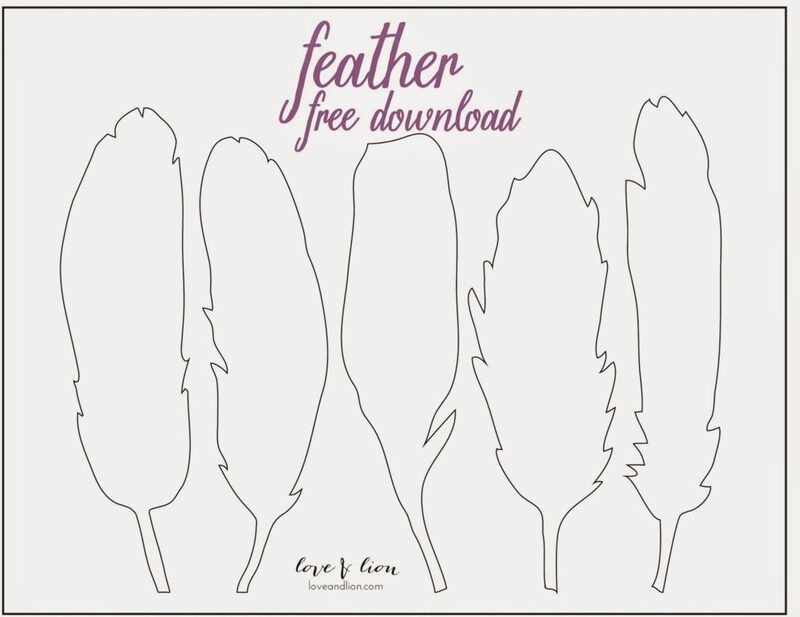 I made a free download for the template you can get right here. 2. 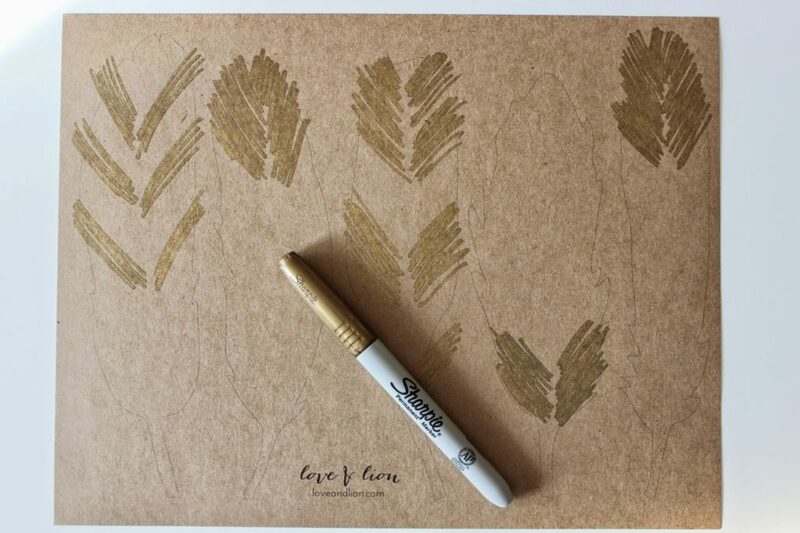 BEFORE you cut out the feathers, color in designs with a gold sharpie or paint designs. It’ll make less messy that way! 3. 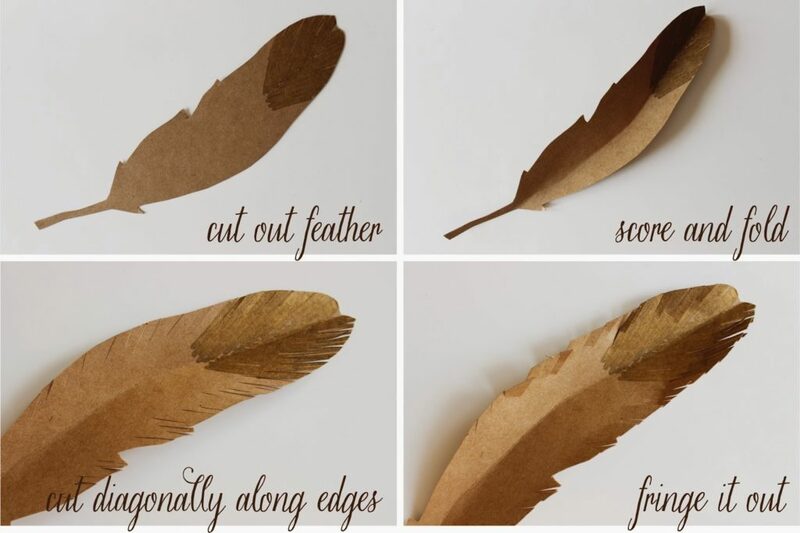 Cut out the feathers shapes then score by using your fingernail tracing along the middle- I sort of did this in a curved shape to give the feather more dimension. Gently fold the feather up. 4. 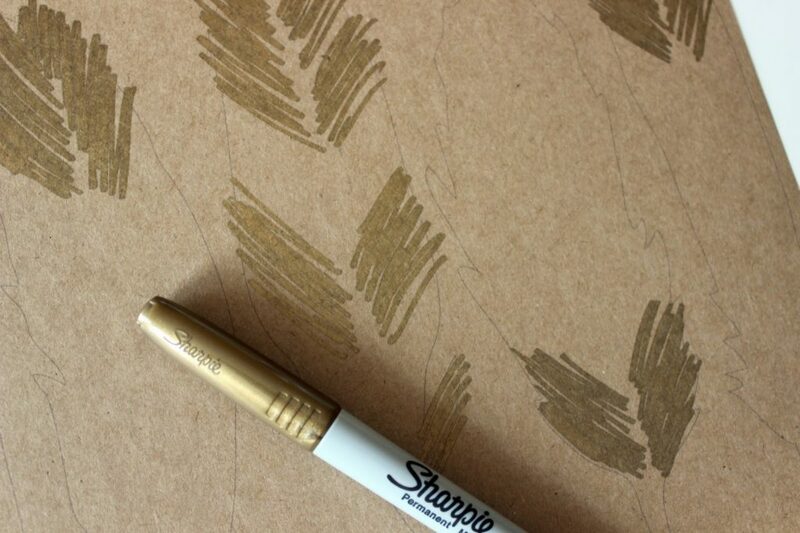 Cut thin diagonal lines all the way down the sides of the feather. 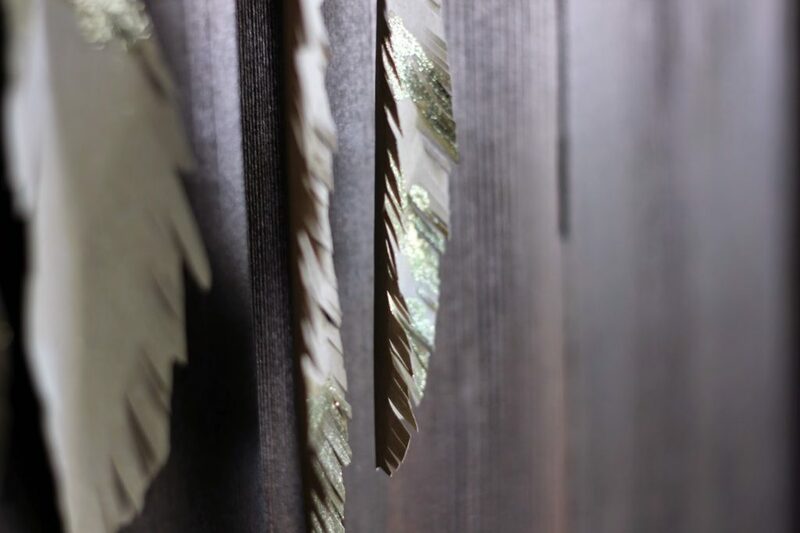 Run your fingers up and down the fringe to give the feather some texture. 5. You could stop here… or you could get a little messy and add glitter! I used Martha Stewart’s Florentine Gold Glitter. See that fun fringy texture? 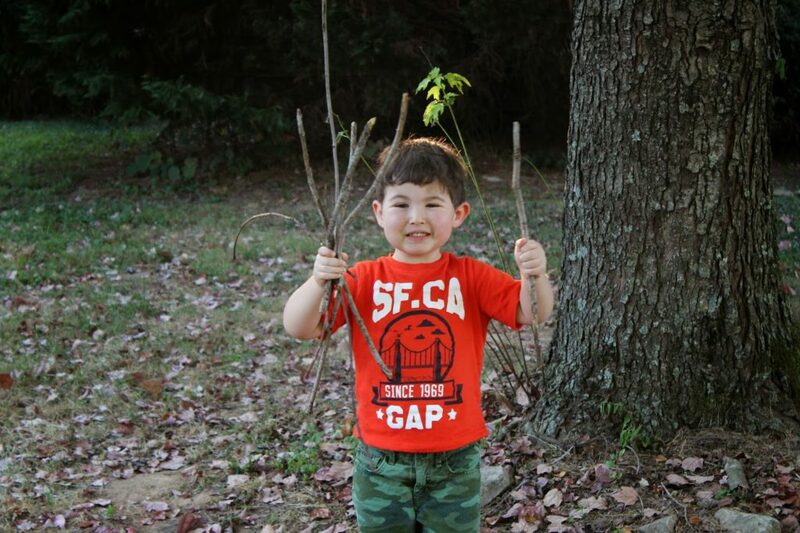 Tip: toddlers are low to the ground and can find the best sticks. 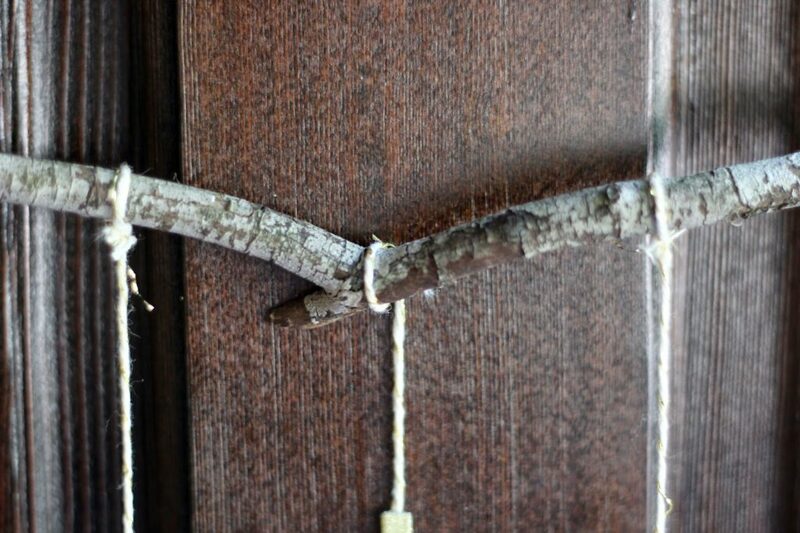 And oh yeah… boys love sticks. See that pretty texture? Score, Ari! 7. 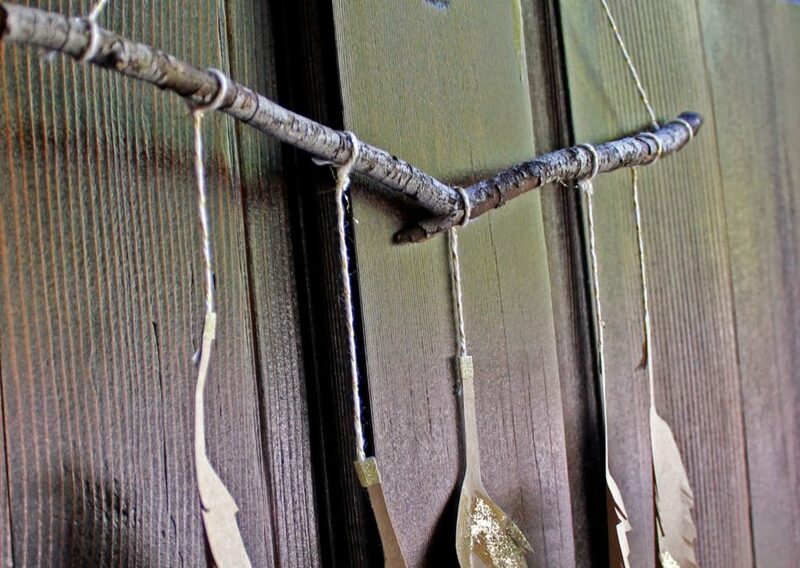 Attach string to each feather with a little piece of washi tape then simply tie the string to the stick. 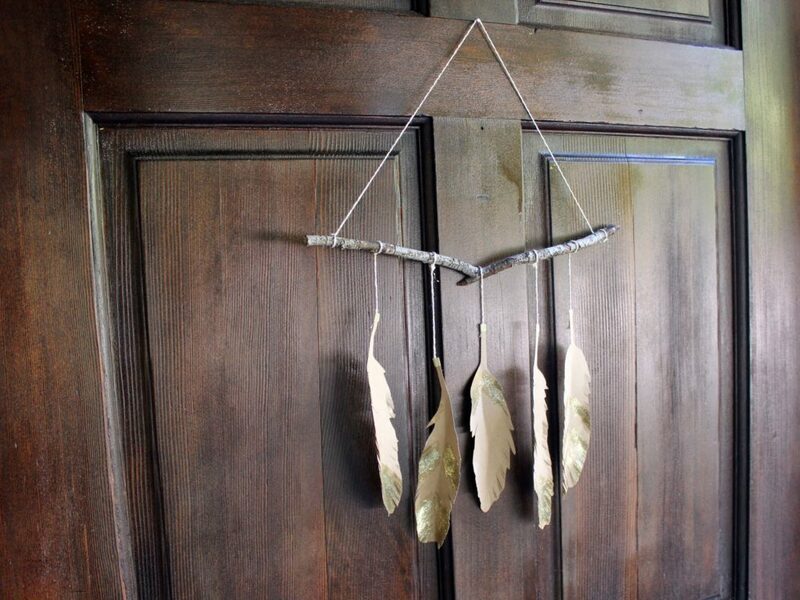 Such an awesome DIY project, especially for kids too 🙂 I love this – so simple and create!